When the green flag flies at Barber Motorsports Park on Sunday, Colton Herta will be looking for back-to-back victories in the 2019 NTT IndyCar Series after smashing records at the Circuit of the Americas two weeks ago. When that same green flag flies and the best drivers in the world leave the line in Birmingham, Mike Harding and George Michael Steinbrenner IV will be entering their 201st day as co-owners of Harding Steinbrenner Racing. Let that sink in a bit. Less than seven months ago these two decided to pool resources and the early results have been outstanding. As unique as Colton’s talent is for a rookie – the entire Harding Steinbrenner team is a rare mixture of age and experience led by Harding and Steinbrenner who are learning from partners like Al Unser Jr., Brian Barnhart and Davey Hamilton to name a few. The entire operation is not just competing but excelling at the highest level. There hasn’t been an immense amount of time to put all this together. 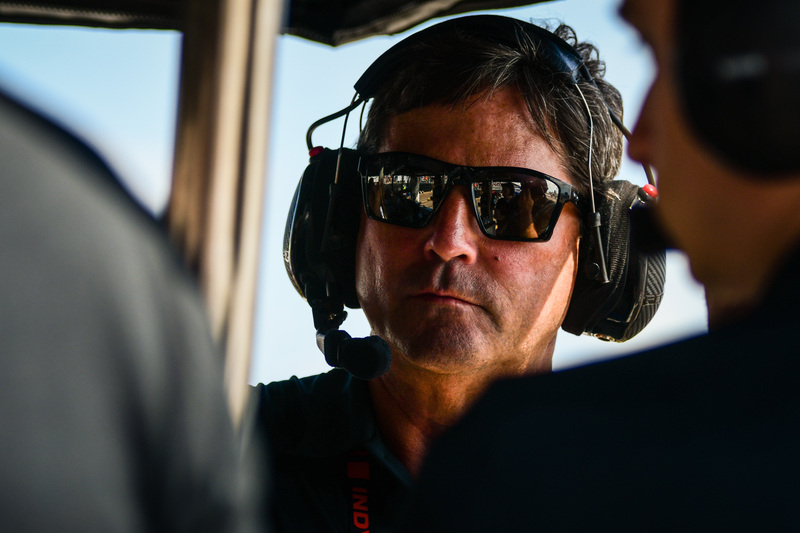 Partnerships with people like Andretti Technologies and the respected names that dot the teams roster have been able to fill in the holes for two owners who were starting from the ground up – not just in being INDYCAR owners but also being immersed in the business of racing says Al Unser Jr. When asked about the evolution of their relationship both Harding and Steinbrenner understand where they are with regards to the learning curve and how important it is to make up the difference as quickly as possible. They are both driven to succeed no matter the task but also understand how special this moment and this team is and can be. George also sees the then, now, next as things continue to develop. Mutual friendship, respect and admiration are some of the main ingredients to success on and off the track. The Harding Steinbrenner team is one that works for each other – pulling the rope in the same direction and never letting go no matter the obstacle. Come Sunday in Birmingham – we’ll see just what kind of a roll this young, upstart team is on.